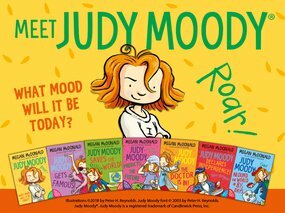 Who is Judy Moody? She’s smart, precocious — and, yes, moody — but most importantly, she’s real. She’s flawed, she’s multifaceted and she’s relatable. The Judy Moody series by Megan McDonald was originally published in 2000 and has been popular with children ever since, with over 19 million copies in print worldwide. In the first book of the series, we get to know Judy through a homework task set in her new class – a ‘Me’ collage. As part of the collage, Judy has to think about some of the best, worst and funniest things that have ever happened to her. These resources challenge your pupils to develop this idea and pen a 500-word short story about a character they have invented, recounting either the best thing, the worst thing or the funniest thing that has ever happened to their character. A teachers' resource packed with ideas and tips to help pupils generate and discuss ideas, and enjoy bringing them to life on the page. Handy character prompt and superlatives sheets to capture thoughts and extend vocabulary. A certificate for running your own writing competition in school. These resources were created in partnership with Walker Books for a competition we ran in 2018 aimed at pupils aged between 7 and 11 years.